Stay-at-home moms are not as common as they once were. Families often require two incomes to get by, they need both parents working full times jobs to keep afloat. While parents who can work from home are not uncommon, thanks to technology, it is often hard to get work done with kids running around, or babies getting into trouble. In a perfect world, we would be able to stay home with our children while they grow without worrying about money, we would work hours that allowed us to drop our kids off and pick them up from school on time, and we would get the same breaks and days off as our children. But we do not live in a perfect world, and so we must work. Since we have to work, we have to find a place for our kids to go so they are not at home, unsupervised. 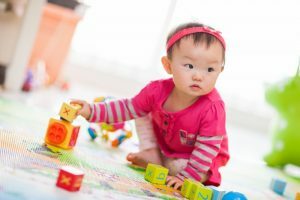 It is hard to find the right daycare that will give your child everything they need to learn and grow. How are you supposed to know if your child is safe and happy when you leave them with strangers? 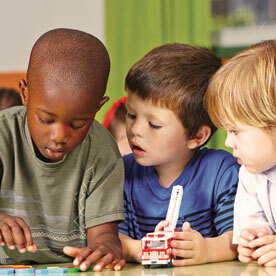 At Inch By Inch Child Care, we understand your concern. Leaving your child in the care of someone else is hard. But we are also a child care center that limits that amount of kids each teacher takes care of, giving your child the attention they need. Our child care center is different. It is a place that we want your children to consider their second home. 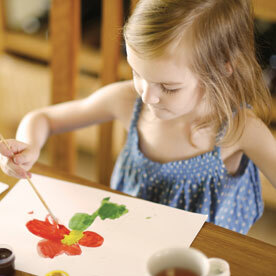 We want them to learn, grow, and feel comfortable expressing themselves and exploring at our center. 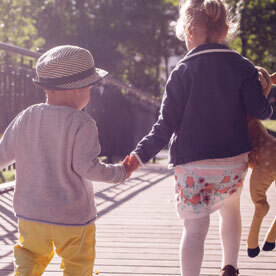 You child will make friends, have a chance to explore, play, learn new skills, and develop when they spend their time at our facility with us. But what else makes us different? One of the best parts of our child care center is that your kids can be here for most of their childhood. We offer programs for kids from eight weeks old to 11 years old. Meaning that your children can get to know the staff, the other children, and the center can become their second home. We offer programs for such a wide range of programs because we want to be that second home for your child. From our infant programs to our summer camps, you kids can learn with their friends and stay with us as they grow. Once your child is in elementary school, they will not be kicked out of our center. We offer before and after school programs for kids who need somewhere to go while parents are still at work. But what other programs do we offer? Our programs start when your little one is only two months old. If you have used all of your maternity leave and need to get back to work, trust us to take care of your baby as you would. We offer a one to three teacher to baby ratio, meaning your child will get all the attention they need while you are getting back to work. We will give your baby tummy time, helping to develop their motor skills. We will also have music classes, expose them to language and colors. Your baby will be learning as they grow in our care. Once your little ones hit 16 months, they will move to our toddler program. Here they will continue to learn, participating in daily circle and small group activities. Shapes, letters, colors, and numbers will be exposed to them so that they begin to recognize them. At this age, your child will be at a one to four teacher to child ratio. 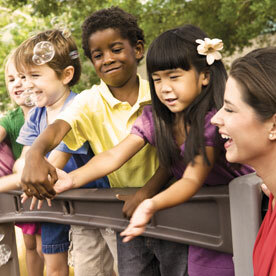 After the toddler stage, you child will enter our preschool and Pre-K program. This program is split into three groups. 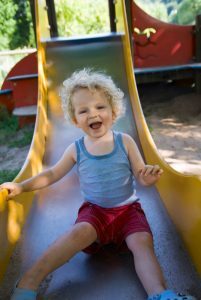 The first is for the youngest toddlers, that are transitioning from the toddler stage. The second is for the three to four year old who are becoming confident in learning. And the third group is for the kids who are about to enter kindergarten. In these programs they will learn social skills, educational development, and how a school classroom works. They will learn letters, numbers, reading, and more. Our next programs are for your kiddos who are in elementary school. Before and after school programs are perfect for parents who need to get to work early. When you drop them off in the morning they can relax before school, play, and enjoy their breakfast. If your child goes to Lane or Davis Elementary School, we have a bus that will take your kid to school so you don’t have to worry about it. The bus will pick your kids up from the school and bring them back to Inch By Inch so you can pick them up right where you dropped them off after you leave work. At our after school program, your kids can play, work on homework, or just relax while they wait for you to pick them up. In the summer, we have summer camps that will keep your kids busy, outside, and having fun. They will explore their hometown, learn about their environment, and enjoy several other activities throughout the summer! This is the perfect place for your kids to hang out while you are busy working during the summer. 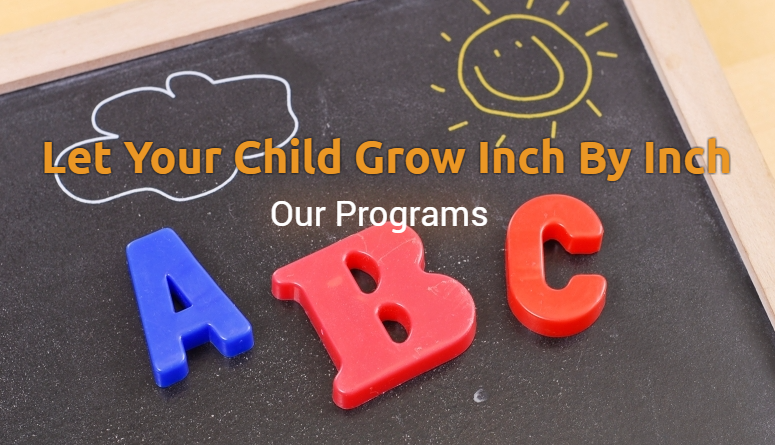 With so many programs for your kids to learn and grow with, Inch By Inch is the right choice for your child. They will make friends that they will keep for years, they will learn with the same teachers and the same structure, and they will be in a nurturing environment that allows them to explore and grow! Sign your kids up for Inch By Inch today! Or contact us with any questions you may have!